Happy Monday dear friends! It's the first Monday of summer vacation and I plan on enjoying every minute of it!!! I have a long list of things to do during the summer month's and celebrating my hubby is one of them! Father's Day is right around the corner and so is my 27th wedding anniversary and I thought it would be fun to create some festive cards with Glitz Designs! 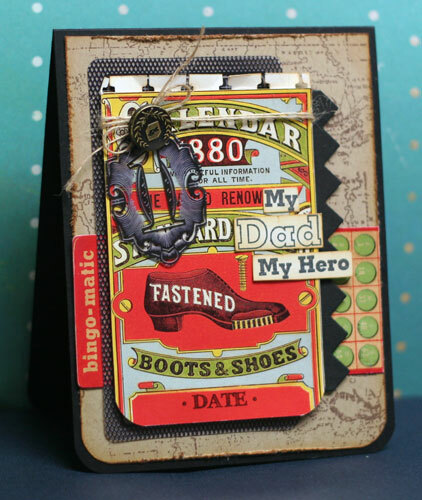 This first card celebrates Dad being a hero, and I tell you what, my husband is worthy of being a hero. He works extremely hard for his family. He is kind, caring and compassionate, and he is funny too! He is the best friend I could ever have, and I am thankful for him. I know the kids will love giving this card to him! 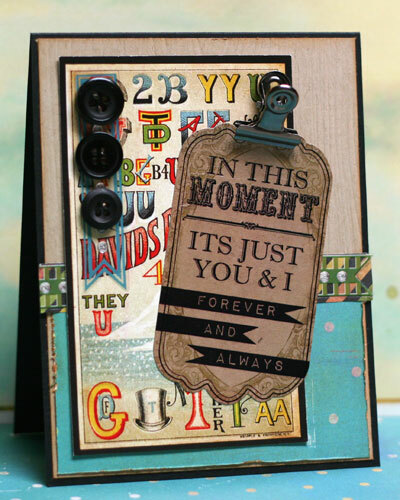 I used Glitz Design Distressing Stamp Set 3 for the background of this card. I hand-cut the number one from the Love Games Peekaboo and used it as an embellishment. Other supplies: Papertrey Ink: Kraft and Rustic White cardstock, My Hero, My Dad stamps, Button Twine, Spiral Notebook Page Die, and Banner Border die; Brushed Corduroy Distress Ink; Memento Rich Cocoa Ink; Button from an old pair of jeans. I will give this second card to my hubby on our 27th wedding anniversary on June 16th. I am so happy to say that after all these years, we are more in love today than we were yesterday. We have so much fun together, and we work very hard to keep our love alive! We are very fortunate indeed! I was pretty excited to find a Glitz Design Cardstock Sticker that had the perfect sentiment for this card!! Glitz Designs has it all! 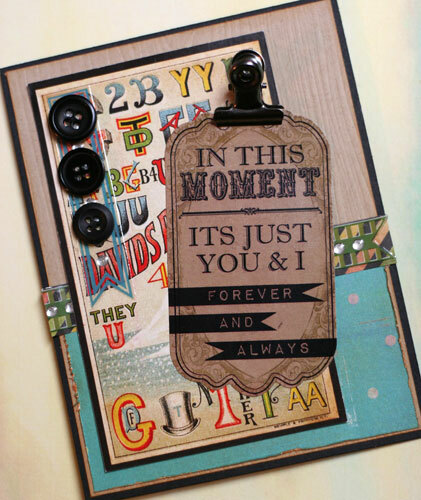 I impressed the kraft cardstock in the background with a woodgrain impression plate and I layered some Love Games Glitzers over the Whatnots and Paper Layers to add interest. Those of you who follow my blog know how challenging it is for me to make masculine cards, but the colors in these Glitz Design papers are so fun, it wasn't near as hard as I thought is was going to be! 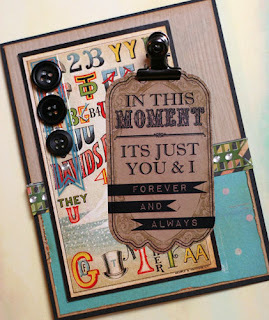 This card was quick and easy and it will be perfect for my sweetie!! 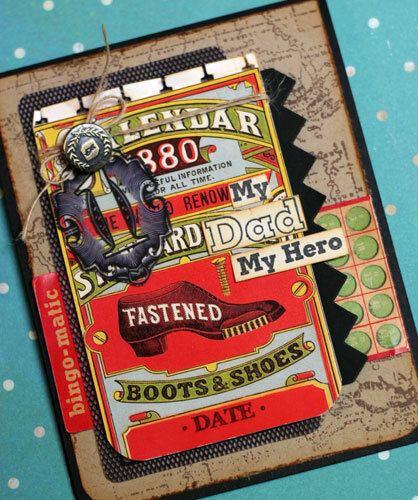 Other Supplies: Papertrey Ink Black and Kraft Cardstock, Woodgrain Impression Plate; Tim Holtz Ideology Hinge Clips. Thanks for stopping by today!! 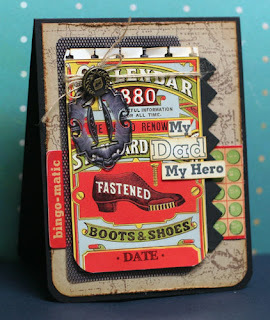 I look forward to seeing you create a masculine card with your Glitz Goodies!!! I hope you have an absolutely Glitzy Day!! Guys would definitely love this game.it's edgy and really original. It's really nice that there are now games for adults.